Loudoun County, Virginia boasts one of the fastest growing populations in the country. 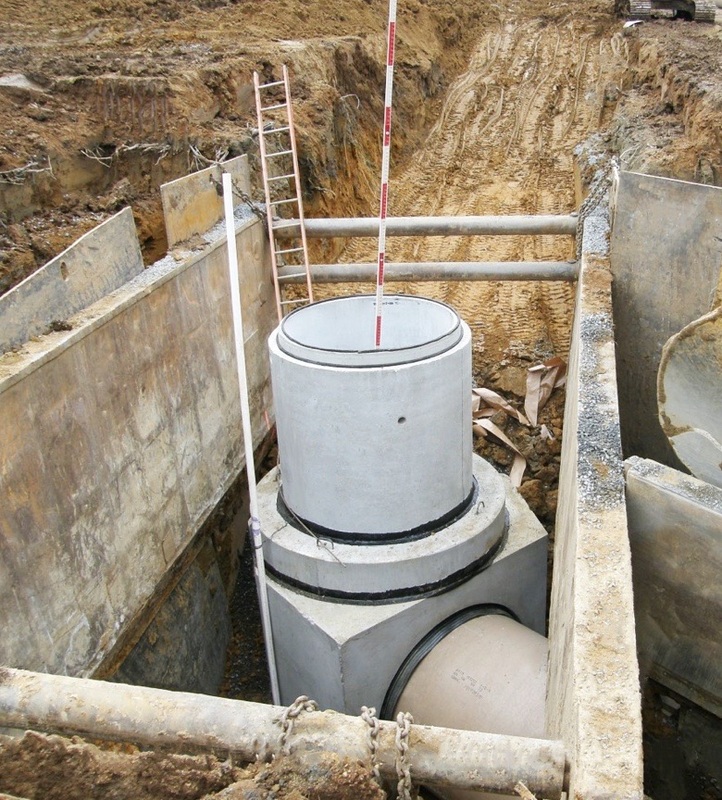 In order to keep their infrastructure one step ahead of the sustained population growth, officials created a progressive and bold plan — upgrade the main sewer system with a series of sanitary sewer interceptors made from 72” pipe. To bring this project to life, they needed a partner with production and lifting capacity, logistical solutions, and years of expertise. That’s why they called Tindall. It is rare to see a gravity pipe of this size. Tindall knew that conventional round manholes would be far too large and heavy for the job. Not only that, but they would make it impossible to achieve a watertight connection. Tindall’s innovative T-Series products were the solution to this unusual challenge, greatly reducing the size of the structure needed for such a large line.